J.B. Holmes’ first win in over six years at the Wells Fargo Championship wasn’t the most exciting of finishes, but Quail Hollow proved once again that it is a tremendous track and one of the very best on the PGA Tour. It also provided some pretty fun moments, but some of the best stuff actually came from the Champions Tour this week, most notably the Legends of Golf scramble format from Saturday. Here’s the best from the last few days in pictures and GIFs. Fred Couples plays from the bridge. Hunter Mahan tries to go left-handed. 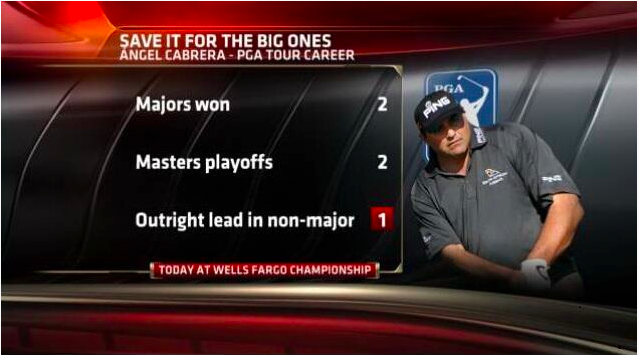 This sums up Angel Cabrera’s career pretty nicely. Shot of the week? From Lee Trevino? Understated #TourSauce from Stewart Cink. Hey, Martin Flores threw me a ball! Jack can’t believe that putt didn’t drop. Running away from the camera. Chesson Hadley’s caddie goes down. Gary Player’s celebratory post-drive kick. 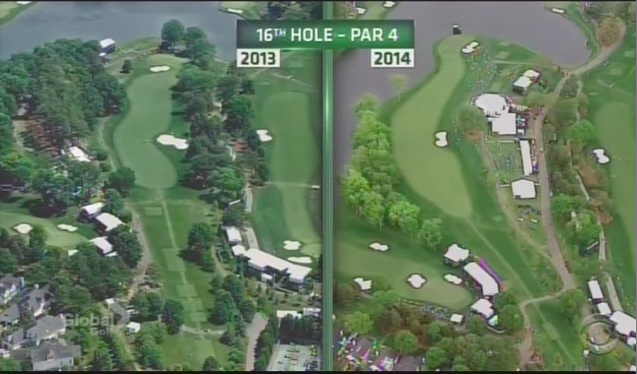 Martin Kaymer nearly tumbles into the creek. Rory doesn’t need that ball any more. Post #TourSauce move from Justin Rose.